Harvard University is ranked first in Genetics / Genomics / Bioinformatics and Stanford University is placed in second. 2 public and 4 private schools are ranked in the top 10 Genetics / Genomics / Bioinformatics colleges. The average acceptance ratio of the schools is 16.17% where Harvard University has the tightest acceptance ratio of 5% and University of Washington-Seattle Campus has the highest ratio of 45%. 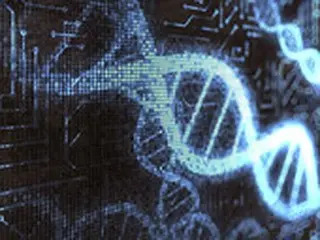 Total 159,260 students are enrolled into best Genetics / Genomics / Bioinformatics schools where University of Washington-Seattle Campus has the largest population with 45,591 students and Massachusetts Institute of Technology has the smallest with 11,376 students. The average graduation rate is 92.33% and the average students to faculty ratio is 10.50:1 at those colleges. Next table shows the academic information and key facts of the best Genetics / Genomics / Bioinformatics colleges including acceptance ratio, graduation rates, student population, and students to faculty ratio. Next table lists 2017-2018 tuition & fees and compares the costs between Best Genetics / Genomics / Bioinformatics Colleges. The 2017-2018 costs are officially published by IPEDS, U.S. Department of Education. The estimated costs for year 2018-2019 are calculated and estimated based on each school's tuition rates last year. For the undergraduate programs, the average tuition & fees of best Genetics / Genomics / Bioinformatics schools is $46,286 where Washington University in St Louis has the most expensive costs with $51,533 and University of Washington-Seattle Campus has the lowest amount of tuition with with $35,538. The average graduate tuition & fees of best Genetics / Genomics / Bioinformatics schools is $42,568 where Massachusetts Institute of Technology has the highest tuition with $52,892 and University of Washington-Seattle Campus has the lowest amount of tuition with with $28,320.